Jouseph Gabriel Bermudez-Matos was also charged with assault of a federal officer. 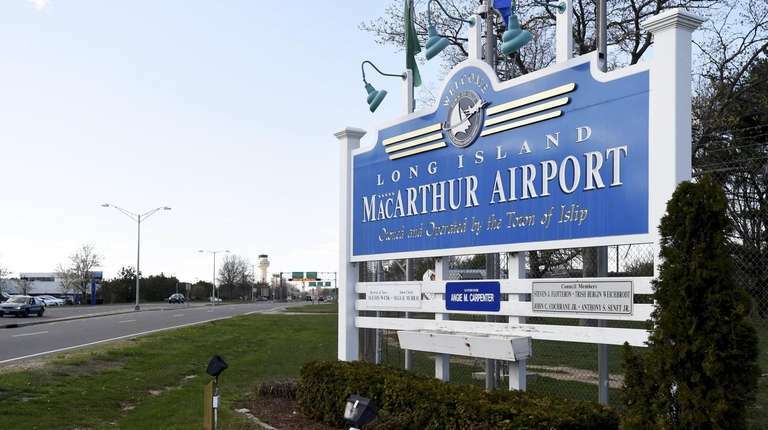 A man traveling from Puerto Rico to New York was arrested as he tried to smuggle 10 kilos of cocaine in a suitcase at Long Island MacArthur Airport and threw a garbage can at a Drug Enforcement Administration agent as he tried to get away, officials said Friday. Jouseph Gabriel Bermudez-Matos, whose age and hometown could not immediately be provided by federal officials, was arrested at MacArthur Airport on Tuesday and charged in a criminal complaint with possession of cocaine with intent to distribute and assault of a federal officer. His attorney, Randi Chavis of the Federal Defenders of New York, did not respond to a message seeking comment. Bermudez-Matos, who needed a translator, was ordered detained without bail at his arraignment, according to court documents. Prosecutors said Bermudez-Matos should be detained because he had a “lack of stable employment,” “prior attempt to evade law enforcement” and a “lack of significant community or family ties” to Long Island. Bermudez-Matos arrived at the Ronkonkoma airport about 12:30 p.m. on Southwest Airlines Flight 803 from Baltimore, where he landed earlier that day on Southwest Flight 627 from San Juan, Puerto Rico, according to the complaint. A pair of DEA agents approached Bermudez-Matos, who was wheeling a blue piece of luggage and also had a blue knapsack, in the baggage claim area, according to court documents. When one of the agents asked him if he owned the suitcase, Bermudez-Matos replied “no, no,” and dropped the suitcase and ran toward a pair of automatic exit doors leading to the exterior of the airport, court documents said. The door failed to open, the court documents said, and Bermudez-Matos “turned and continued running” and then “flung a large cylindrical-shaped trash can” that struck one of the agents. The agent fell and fractured three bones in his shoulder, the court papers said. The agent underwent surgery and has since been released from the hospital. A DEA spokeswoman declined to comment Friday. The other DEA agent and Suffolk County police officers apprehended Bermudez-Matos, who gave authorities “verbal consent to search the suitcase, which he acknowledged belonged to him,” the court papers said. Inside the suitcase were eight large bricks of a white powdery substance, weighing 10.5 kilograms, that in a field test was identified as cocaine, according to court documents. Before the search, a drug dog named “Dodge” indicated that a controlled substance or its residue was inside the suitcase, the court papers said. The Town of Islip, which owns and operates the airport, did not respond to messages seeking comment.